Learn the ways of the Jedi with Panniken Moonjumper, a true Master of Intergalactic fun and adventure. 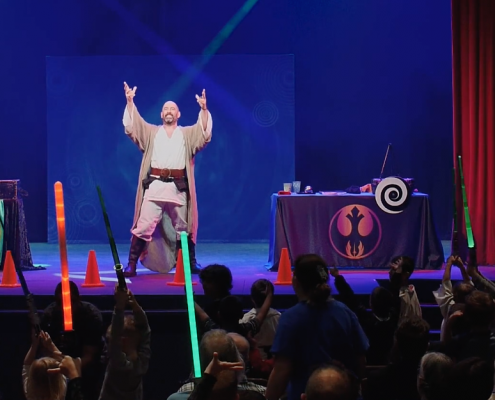 During this engaging program by veteran family entertainer David Engel your little Jedi Warriors, Princesses, and Darth Vaders will be delighted by comic antics, exciting physical challenges, magical mayhem, light saber lessons and a visit from his furry alien sidekick. Kids encouraged to dress as their favorite Star Wars character. Recommended for ages 4-12 years old.